i say look at the trees. Nice quote, and a pretty accurate description of my Irish forbears. 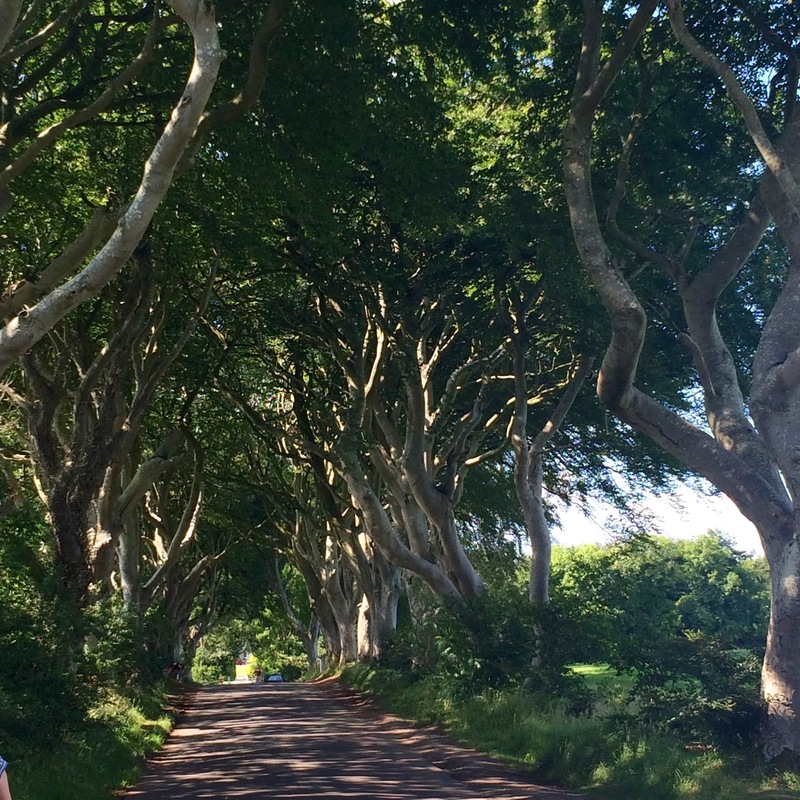 The dark hedges are a great place to visit. It once featured in ‘Game of Thrones’ so it gets rather busy these days! YES – the photo shows it all. I think many of us have that Irish blood in us: twisted, strong, lush and powerful, yet damaged a bit. We came across one of the oldest forests left in Ireland. We walked through it. It was a different world. Simply stunning. I would run everyday if I had this for a running path.